A power outage has disrupted JetBlue’s network, leading to delayed flights across the country. The company’s website is also down. JetBlue responded to customer complaints on Twitter by explaining that "we’re experiencing intermittent network issues due to a data center power outage." The website, JetBlue.com, began showing an “internal server error” just before noon on the East Coast, WPIX reported. A traveler at New York’s LaGuardia International Airport was told that the company’s booking systems were impacted and that no flights were departing, according to Business Insider. Staff at the departure gate are reportedly telling passengers that there is no timeline for departure. One JetBlue customer lamented being stuck on an airplane for an hour without flight attendants offering water or snacks. Although the main JetBlue website is down, its blog is up and running. Los Angeles International Airport tweeted that customers would receive updates from crew members and the company blog. However, the last post on BlueTales is from December. Despite the flight delays and potential cancellations, shares for the Long Island, New York-based airline rose more than 2 percent Tuesday as part of a broader market rally, CNBC reported. 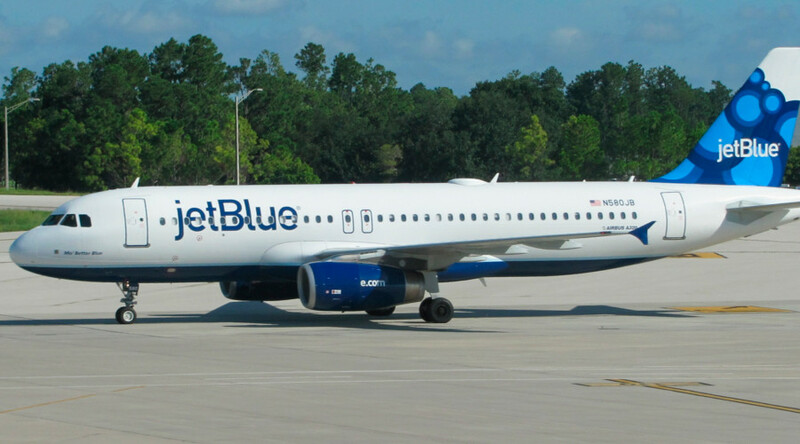 Flight booking came back online around 2:30 p.m., although JetBlue was still experiencing system issues "due to a Verizon Data Center power outage,” the company said on its blog.